SAN FRANCISCO (December 14, 2018) – Scientists from the United States and Brazil warn that the current global progress toward United Nations (UN) sustainability goals is not fast enough to avert the biodiversity crisis. 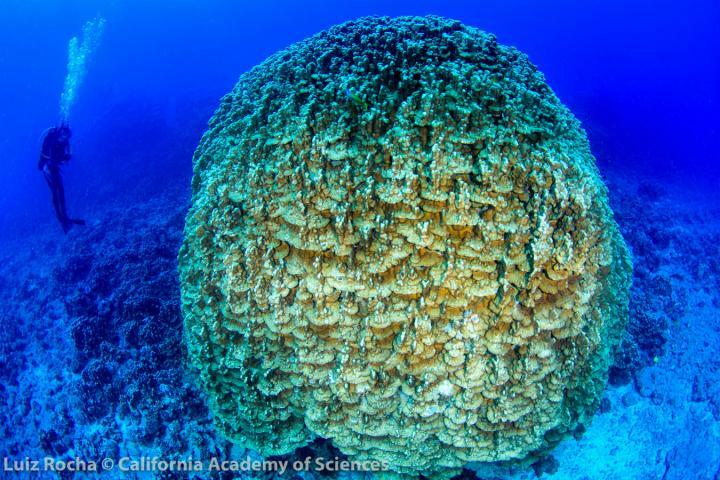 A scientific team led by the California Academy of Sciences evaluated progress toward current biodiversity targets put forth by the UN Convention for Biological Diversity specifically aimed at protecting the world’s oceans and seas. In an essay published yesterday in Perspectives in Ecology and Conservation, they argue that most signatory countries are not on track to achieve target goals, some of the targets are structured to give a false sense of conservation achievement, and that these targets must be restructured to incorporate adequate conservation incentives that instill valid hope for the future. One sustainability target highlighted by the team requires signatory countries to protect 10% of their coastal waters as marine protected areas, or MPAs, by the year 2020. However, many countries are protecting large expanses of ocean that are low-conflict and of little biological diversity–rather than focusing on coastal regions most in need–in order to meet the target. For a more detailed evaluation of current challenges–and hopeful recommendations–presented by the team, read the full perspective.